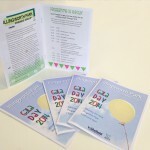 When leaflets and flyers just don’t say enough about your company, the solution could be a brochure or booklet. Printed full colour throughout with striking imagery you can really emphasise what you’re trying to say. Books are supplied folded and stapled along the spine. A brochure or booklet is the best way to let customers know about the great many products and services you provide. We've printed many brochures over the years and know just how to make them look so incredible your potential customers won't be able to resist. We have a design team that can take your rough ideas, photos, and copy then spin it into something that will amaze you. 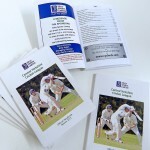 Our fully outfitted print shop in Ossett can produce your brochures quickly, cheaply, and at the best quality. We know what good paper and good ink coverage means, we know that you want the best printing you can find so that your products and services look the best. We use only top quality paper in our booklet and brochure printing, we know that the feel of your print is just as important as the look. You want that wow factor from your booklet and brochure prints, you want your customers to pick them up and immediately be impressed. 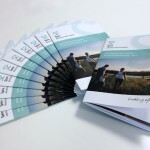 Even with our more affordable booklet printing you still get our years of experience, a trained eye that can only come with decades in the print trade. We can make these larger booklets that are perfect for fitting a look of complicated details or information. 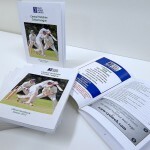 A perfect example is the booklet we make every year for the Central Yorkshire Cricket League, filled with lots of information, printed on great quality paper, and perfect bound as a nice finishing touch that's both practical and aesthetically pleasing. It's not all business level and high volume printing, we also accept low volume and one off print jobs. 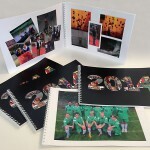 If you have a project for college, want to create a custom family photo album, or need to assemble a few booklets as part of a one time presentation than you can rely on us. 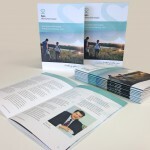 We're specialist when it comes to bespoke print work and that extends to our booklets and brochures. If you need odds sizes, different coloured papers, strange thicknesses, or anything else you can think of don't hesitate to get in touch.